Suzanna Guzman will participate in El Milagro del Recuerdo from 02/25/19 through 03/01/19 (Houston Grand Opera). 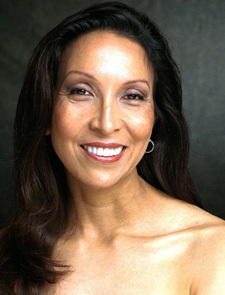 Suzanna Guzman has appeared on the stages of many of America’s leading opera companies during the past two decades, including The Metropolitan Opera (Maddalena in Rigoletto and Flora in La Traviata), Los Angeles Opera (39 productions), San Diego Opera (7 productions), Washington National Opera (six productions), Houston Grand Opera (five productions), The Dallas Opera (five productions). Other companies with whom she has appeared include Opera Montpellier, Opera Geneva, Opera de Nice, the Edinburgh Festival, and the opera companies of Pittsburgh, Columbus, and Orlando. She has recently returned to the Spoleto, U.S.A. Festival for Michael Nyman’s Facing Goya which she repeated in August in Singapore and sang Madame Rocher in Dead Man Walking for Townsend Opera Players. This spring, she will sing Candelas in El Amor Brujo for the Los Angeles Chamber Orchestra. Next season she will appear with Opera Santa Barbara as Donna Rosa in Il Postino. She is also no stranger to world of musical theater, appearing in leading and character roles in equity productions throughout the U.S.A. of works such as The King and I, Man of La Mancha, South Pacific, Blood Wedding, Show Boat, Dioa Inanztin, and Amahl and the Night Visitors. Ms. Guzman has also been a noted host on television and ratio in New York. Her programs include KCET’s “Open Call”, K-Mozart, “Sunday Evening Opera” and LA Opera Live as Producer and Writer. Her television credits include CSI: New York and she has also appeared in several feature films.